Here's one from August Artist of the Month Continental Drift, who were helped to their win by this excellent new record. The self-titled, two-track EP from Continental Drift here feels like it has more heart and soul than most albums being released these days. 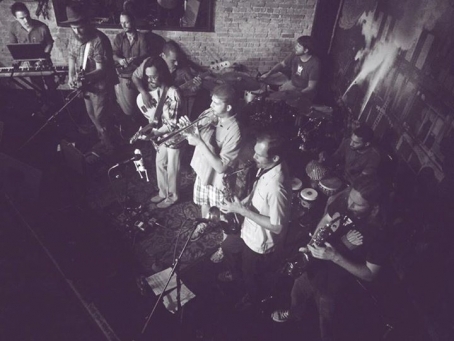 Performed by a ten-piece band, the music here centers on Afro beats while flawlessly weaving in funk, soul, and psychedelic grooves to the mix as well. Whether you enjoy all of those genres or none of them, this EP is bound to reel you in and keep you hooked for its short fifteen-minute duration. The first track, "Afropsychic," starts out with only a couple instruments pitching in, and as the song progresses the rest of the band joins in one by one, almost like a relay race for music. As each band member joins in, the song grows in its drama and intensity, making it feel as though a narrative is being carried, and not just some cool beats. What’s great about it is that it all feels spontaneous, and not just with "Afropsychic" - the quality spontaneity runs through "Conductive" (the second track) as well. Both songs sound like ten people with amazing chemistry walked into the studio and just jammed for twenty minutes. It’s also worth mentioning that even though the EP has only two songs on it, each of those songs carry so much variety that one could mistake this for a four or five track EP. Give the EP a listen or download for free below, or mark your schedules for the second Sunday of every month and head over to Stay Gold in Austin for their live residency. Continental Drift EP: Listen/download here! What the world needs now is not love sweet love, what it needs is bands that can make dynamic music! 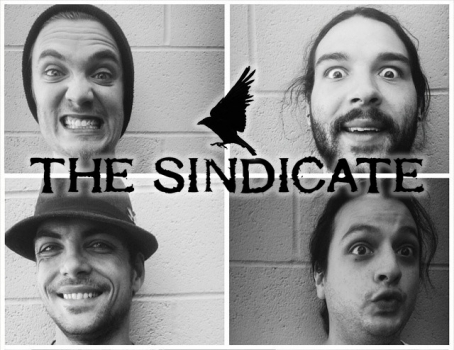 It is not often I come across a band or album which I find myself, well, impressed with… The Sindicate impressed me. The band released their new album Sleepwalker Friday at the Star Theatre. After having lived in California for a number of years and consequently having my ears flooded with every Sublime acolyte who could form a band I am always a bit leery of reggae bands. The first track on Sleepwalker dispelled any fears I may have had. I could immediately tell that this group of guys not only had a diverse range of influences but that they were proficient at channeling them into their own music. The cherry on top was that they did it well. Each track has a really balanced blend on genres ranging from fairly straight forward reggae sounds to what I would say sounded like early Stones/ early punk stuff. As each track played I was quite pleased to hear very dynamic and diverse sounds in each individual song. Songs like Zombie evoke a sense of mystery and suspense almost like you’re tip toeing through some foggy graveyard at night while the very next song RB-HB feels more like a small Californian beach town on a sunny afternoon. Each song has its own vibe to the point it doesn’t feel like they took the same music and simply repackaged it with different lyrics. The work put into these songs shows. The band describes themselves as “reggae rock” and I would say that’s quite accurate. The overall dynamics of the album are similarly silky smooth. The placement of each track is very well done so that listening straight through the album feels like a musical journey. I was very impressed with how the album achieves a sort of roller coaster effect and does what a good album should do. It take you on a journey down through valleys and up through mountains. The Sindicate and their team did a great job on this album on both a micro and macro level. The band shows excellent musicianship in a genre which is too often scabbed over with repetitive sounds. 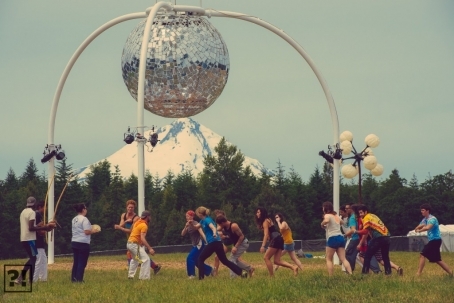 The band just embarked on a tour, but catch them when they return to Portland. 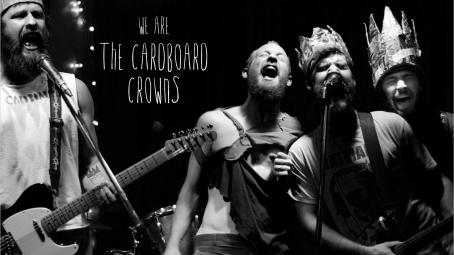 In the meantime, listen to their new album here. If you want to catch a unique show, check out Etana at Mezzanine! Her music is gorgeous and it will give you a chance to check out some music that may not be "the usual" in regards to local shows. We love local bands forever, but everyone's got to stretch their wings a bit. You won't have to stretch far. Make your way down to Mezzanine in San Francisco on June 6th! The soulful Jamaican vocalist who has been described as "reggae's Jill Scott" (NPR) or"reminiscent of India.Arie" (Essence) - dropped her fourth album I Rise on Oct 28, 2014. The album was helmed primarily by the legendary Jamaican multi-instrumentalist and producer Clive Hunt (Stevie Wonder, Peter Tosh, Rolling Stones, The Wailers, Grace Jones, Jimmy Cliff). It hit #1 on the U.S. Billboard Reggae Album chart, making Etana one of the three Jamaican female artists ever and the first in nearly two decades (since Diana King and Patra in the mid-90s) to land this highly-coveted chart position. 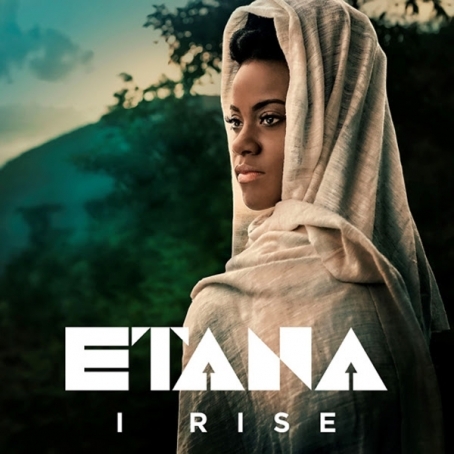 I Rise follows Etana's critically-acclaimed albums Better Tomorrow (2013), Free Expressions (2011) and The Strong One (2008). With poised assurance, she continues to evolve spiritually, mentally, emotionally and musically and carry the torch as reggae's leading lady.